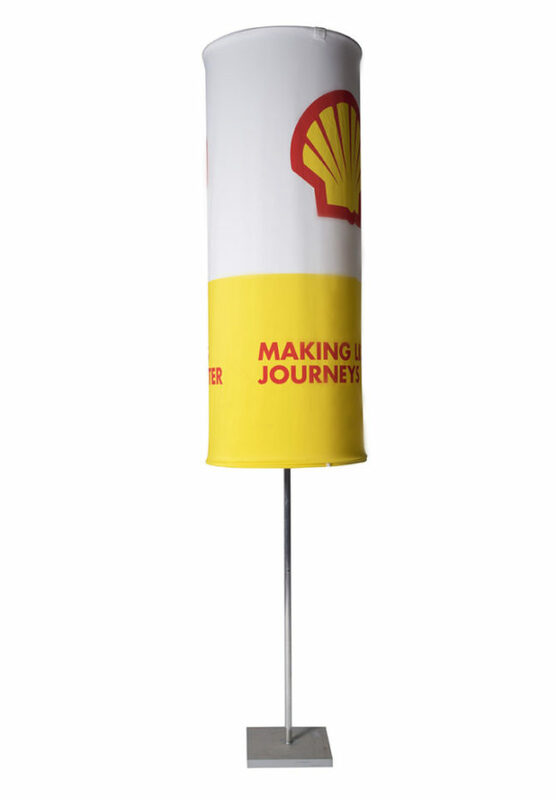 The circular freestanding banner is a tube shaped banner on an aluminium pole. This particular banner works well for businesses who have designs that need to be step and repeated. The circular free standing banner is a one of a kind unique banner, that can provide businesses with an alternative to the usual banner options.